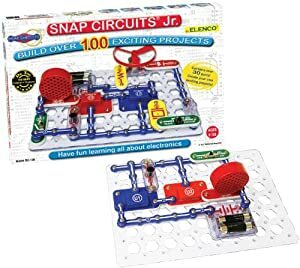 Amazon.com now has this Snap Circuits Jr. SC-100 on sale for $21.95, FREE Super Saver Shipping on orders over $25. Plus excellent reviews for this one. 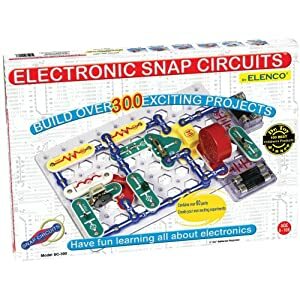 This is one of the best educational toys you could possibly buy for your child, the Electronic Snap Circuits SC-300 is on sale at Amazon.com for only $30.33. FREE with Super Saver Shipping. Highly recommend this amazing toy! 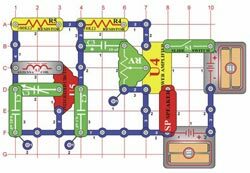 It easily shows your child how the circuits works and what is the meaning of power in the circuit. Good learning tool for both boys and girls 7 years and up. -Awards: The National Parenting Center-Seal of Approval, Dr. Toy 100 Best Children's Products, Dr Toy Best Educational Products. -Comes with 300 exciting science projects, over 60 Snap-Together parts. -Clear and concise Illustrated Manual Included and Available Online. -Build a radio, doorbell, burglar alarm and more. For other fun and interesting educational toys, please checkout our highly recommended educational toys here. 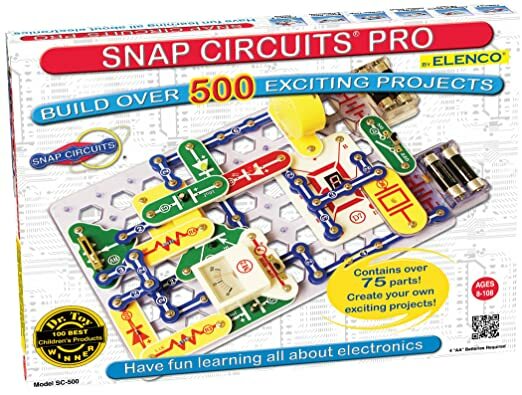 Snap Circuits PRO SC-500 原价$97.95， 现在打折只要$51.62 with free shipping. 这套电路获得的AWARDS: The National Parenting Center-Seal of Approval, Dr. Toy 100 Best Children's Products, Dr Toy Best Educational Products。 包括 over 75 Snap-Together parts. Build over 500 exciting projects. 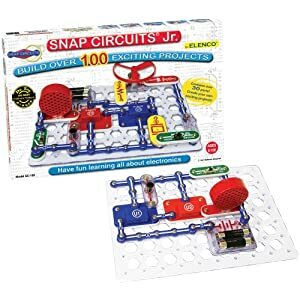 Snap Circuits Jr. SC-100 Electronics Discovery Kit 现在降价 for only $16.97 (reg. $34.99) on Amazon. 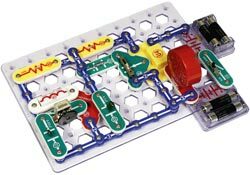 Also this Snap Circuits Lights Electronics Discovery Kit 打折 for only $40.79 shipped (reg. $79.99). Both of these kits have dropped to their lowest price yet! Plus, get FREE Shipping on an order of $35 or more OR snag FREE 2-day shipping (no minimum) with Amazon Prime. 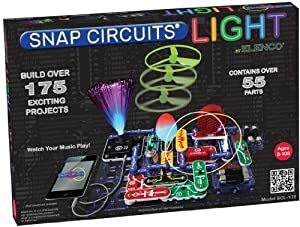 Amazon.com 现在 this very highly rated (4.8 out of 5 stars) Electronic Snap Circuits Discovery Kit price cut for only $31.19! This award winning set contains over 60 snap-together parts that can be used to build over 300 different projects. Your kiddo can build a radio, doorbell, burglar alarm and more! This set is perfect for curious little inventors and would make a great Christmas gift! 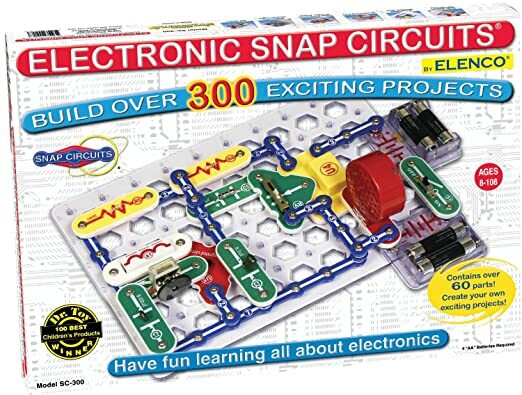 Target.com Snap Circuits 300-Project Set $38.99, Only $27.29 shipped after the code PLAY. 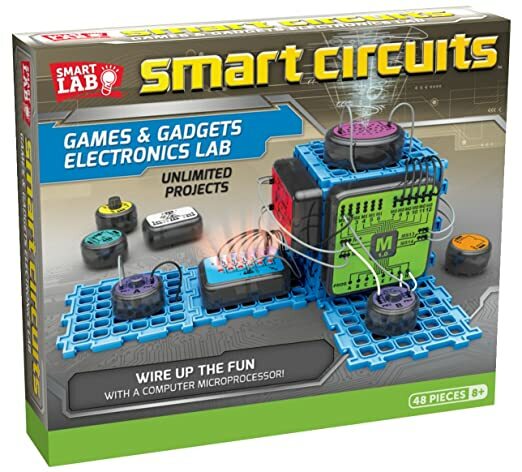 On Amazon.com you can now get this SmartLab Toys Smart Circuits Games & Gadgets Electronics Lab for only $23.97-$23.99 (regularly $49.99). This set allows kiddos to build electronic games and gadgets! It includes six base boards, battery module, variable resistor module, microprocessor module, tricolor LED module, speaker module, photodiode module, tilt switch module 6-LED array module, two push button modules, 31 jumper wires and a 48-page book!